Janet Jackson "bitten by a monkey"
Two titans of pop music, two cacophonous singles. Who wins? "Joo-da / Jud-a-ah-ah / Joo-da / Ju-da-Gaga". Lady Gaga's producer, Red One, says they use nonsense words in all of their songs because it means fans can sing along when English isn't their first language. All very clever, but the law of diminishing returns applies here. Judas's refrain is hookier than Peter Hook on a fishing trip with Captain Hook, but it's no wannyobarrromanzze. The comparisons to Gaga's biggest hit keep coming: The same structure, the same Eurodance arrangement, the same spoken word section... but the melody is weaker - so why not listen to Bad Romance instead? Lyrically, it's all over the shop. 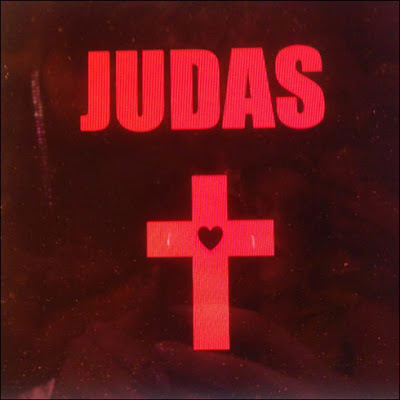 The central metaphor - that Gaga's lover will betray her like Judas betrayed Jesus - is great. But Judas didn't betray Jesus three times (that was Peter) and no-one washed his feet with their hair (that was Lazarus's sister, Mary, washing Jesus' feet). For someone who constantly guffs on about her Catholic School education, Lady Gaga's a bit shaky on the old Bible facts. But the biggest problem is that Judas doesn't feel like a coherent song. The key components are all sound - and the "break of dawn" bridge is spectacular - but they don't fit together. To give her the benefit of the doubt, it could be an avant-garde commentary on the artifice of contemporary pop. On the other hand, it sounds thrown together like a bad salad. As with Born This Way before it, then, Judas is only rescued by Gaga's dizzying levels of self-belief. It's not as bad as it's detractors would have you believe, but nowhere near as good as her best work. The ace up her sleeve is timing. While Bad Romance is still fresh in our minds, Beyoncé has been off the scene long enough for this to feel like the welcome return of a long-lost friend. Not that she's resting on her laurels. The intricate vocal arrangements and finger-popping production fizz like sherbet in your ears. 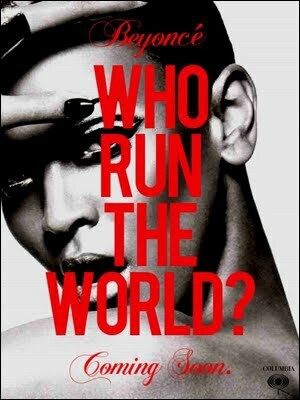 Lyrically, there's a playfulness that Gaga's 'verr verr important statementzzz' have been missing of late. My favourite couplet? "We're strong enough to bear the children... Then get back to bidness." On first listen, Girls (Who Run The World) is so busy it's disorientating but, believe me, you'll be setting your iPod to "repeat (one)" as soon as it's over.